Exquisite condo in desirable Edinburgh Square! One story living with high ceilings, an open floor plan & must see wrap around porch! 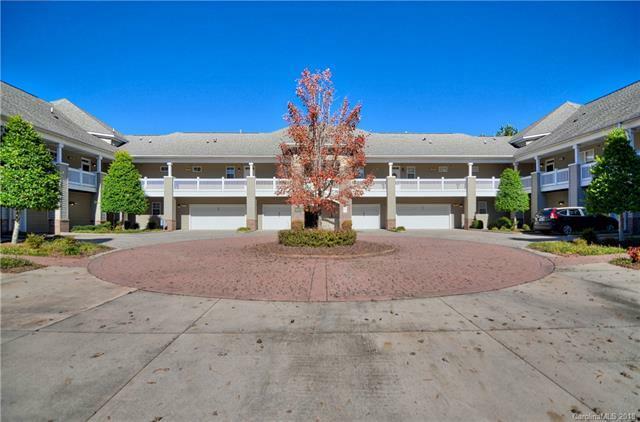 Elevator in building allows for easy access in one of Cornelius's most sought after communities! Large eat in kitchen w/ tons of cabinet space, granite countertops, tile backsplash & gas stove is open to the living & dining room, perfect for entertaining guests! Elegant owners retreat with tray ceiling & walk-in closet. Connecting en-suite bath with dual vanity, separate soaking tub and tile shower. Spacious secondary bedrooms with guest bath. Huge private porch with outdoor ceiling fan overlooks wooded area perfect for relaxing. Scenic community boasts of beautiful landscaping & surroundings all 4 seasons, pool, clubhouse and walking trails. HOA dues include water & sewer. Great location close to schools, restaurants, and shopping! Minutes to Lake Norman & Birkdale Village!